thrift shopping is my fave. 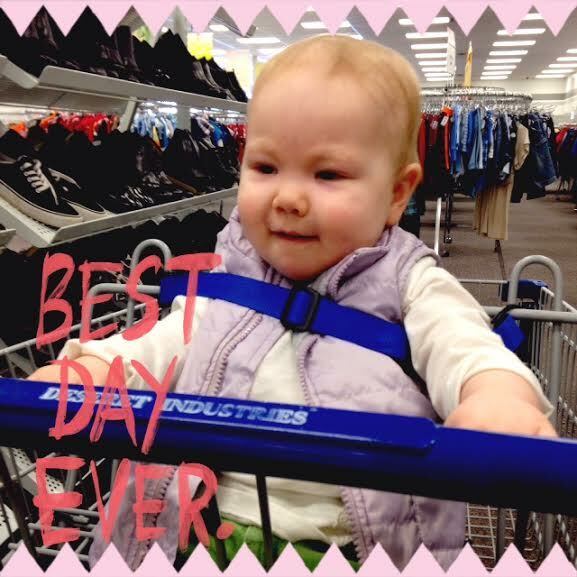 I haven’t done a lot of real thrift shopping since Hannah was born, except a few pop-ins to browse baby stuff. But actual pawing through the racks for stuff for myself.. it’d been a minute. And I have been jonesin’ to go for months. This week we hit up two in my quest to update my spring wardrobe a bit. I’ve got the Frumpy Momdoms going on. And while I am trying not beating myself up for that lingering extra belly squish, I’m not exactly wanting to show it off in my still-too-small pre-pregnancy clothes. Sigh. I scored a few new tops, a purse (I didn’t need one, buuuuuut) and some like-new TOMS (!!). They are these hippie rainbow ones. 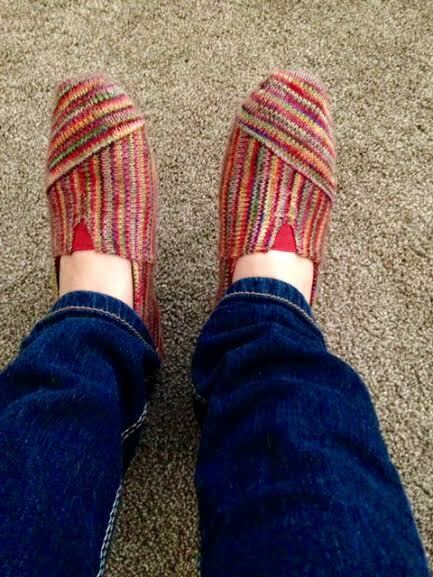 They are the perfect thing to wear around the house because they are comfy and warm. This might be in my top-ten best thrift scores evah’. I know it’s easy to want to skip the shoes, but sometimes there are some real gems. I will only buy secondhand shoes if they look like they’ve barely been worn. I’m not above buying used and Lysoling the crap out of them, but even I have standards. Cool tee-shirts in the little boys section. Work-appropriate basic skirts and pants (you’ll find a million pencil skirts). Basic sweat shirts and sweats. Pajama pants. My local thrift shops always have tons of Old Navy and Victoria’s Secret pajama bottoms. Baskets for organizing the house. I have a LOT of baskets and almost all came from thrift shops. This is one of those things I don’t feel like I have to have an immediate need in for in mind to justify buying. I will ALWAYS use another basket. Tiny plates and dishes. I use these for spoon rests, soap dishes, under plants, to organize jewelry and other small stuff, under candles, etc. I’ve found them for as low as $.10. Teacups. I don’t have a collection, but I’ve picked up cute ones for organizing. Or you could make fun candles or bird feeders. Books. I buy cookbooks and reference-type books, but not many paperbacks, as I would rather borrow and return to the library. Pyrex. I just recently started to collect and though it’s not super easy to find in thrift stores anymore (people sell on Ebay instead) I’ve found a couple pieces. Frames for projects. It’s not easy to find perfect as-is frames, but there are a ton of paintable ones or nice frames without glass you can do something with. 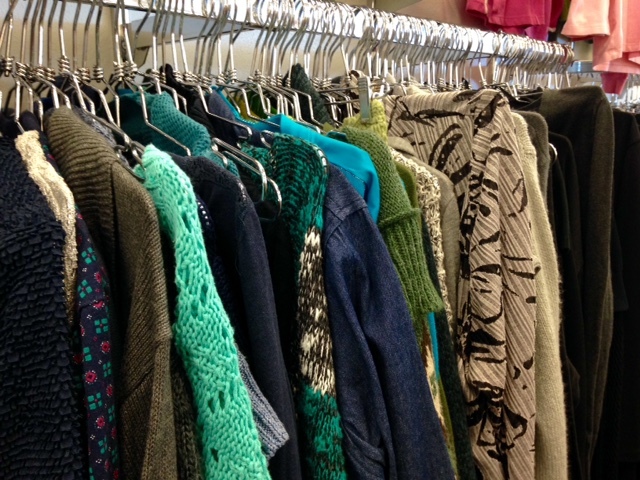 Are you into thrift shopping? What are your favorite scores and tips? After writing this post I am anxious to go again!